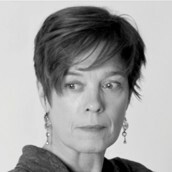 Maura MacNeil is the author of the poetry collection A History of Water (Finishing Line Press). Her poetry and prose has been published in numerous journals over three decades and anthologized in The Breath of Parted Lips: Voices from the Frost Place, Volume II, Shadow and Light: A Literary Anthology on Memory, and On Our Own. Maura is committed to community-based creative collaboration, and her work in this area includes involvement with New Hampshire Poetry Out Loud, her role as a board member for the Monadnock Writers’ Group, and as a presenter with the New Hampshire Humanities Council “Humanities to Go” program. Her current writing projects are focused on drafting through a family-based memoir and getting her blog, Off the Margins, up and running so that it can serve as a collaborative space devoted to the wild terrain of women’s writing. Mind Stretch Contributor.